This article is 248 days old. Here is a look at the conditions of the local beaches. Beach sampling takes place every Monday. If the beach is closed due to high E. coli levels, the beach will be resampled on Thursday of the same week. 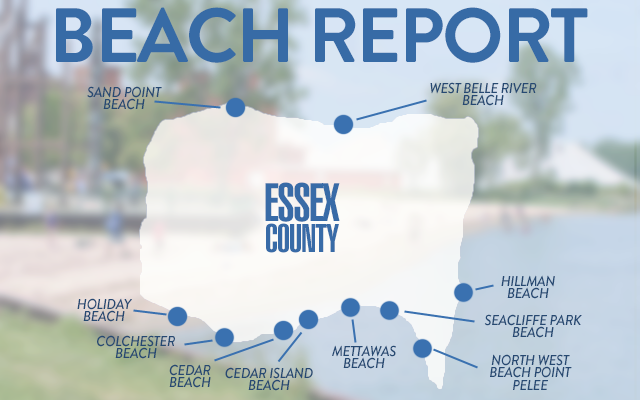 Beach water quality results from Monday’s sampling are posted on Wednesday during the summer. If the beach was resampled, results will be posted on Friday. Swimming is not recommended at Colchester Beach.